Dear friends! Another training season in Aikido Mumonkan club has finished. 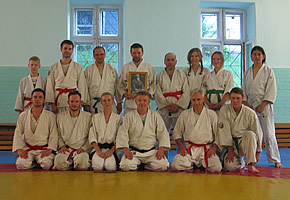 In April 2016 Minsk hosted an international training and attestation Aikido seminar led by Shihan Makoto Ito, instructor of the World Center of Aikido Aikikai Hombu Dojo. Our students took part in the seminar, and a representative of the Mumonkan Aikido Club Alexei Kolonovich successfully passed an exam for the 1st Dan. Congratulations! In December 2015 in Minsk the traditional training and attestation Aikido seminar led by the Chairman of BFA Andrei Mostovnikov was held. During the last training season 32 of our students successfully passed qualifying exams for student degrees in Aikido. We congratulate all the certified students and wish them tenacity, perseverance and technical excellence! 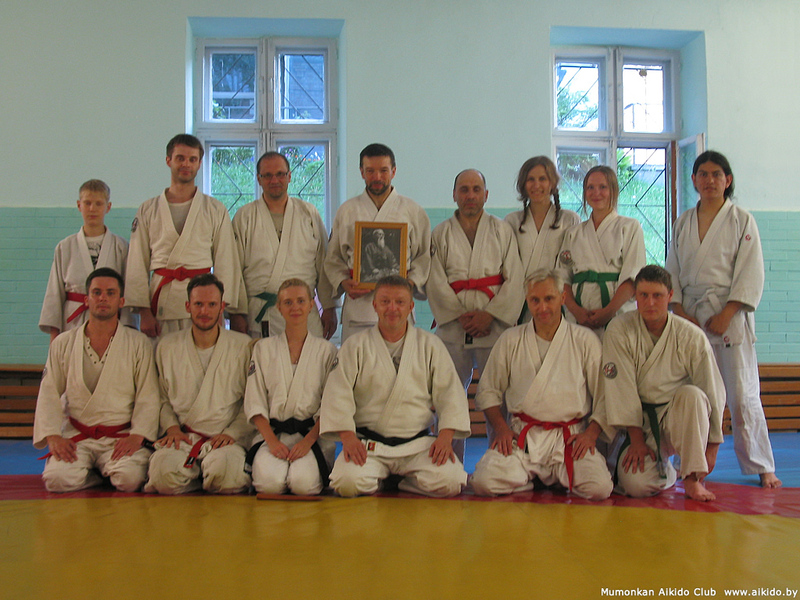 In November 2015 – a training seminar in Navapolatsk branch of Mumonkan Aikido Club. In November 2015 – an Aikido master class in Dzen Thai Aikido Club in Moscow. In December 2015 – a master class for members of "Hand-to-hand Fighting" club, Vitsebsk. In February 2016 Alexey Romaniuk, the head of Moscow Dzen Thai Aikido Club, gave a master class to our students. For July and August 2016 Mumonkan Aikido Club declared summer vacations. The exact date of the resuming of trainings will be placed in advance on our website and social networks. Follow the news, please. We invite you to trainings in September 2016! The results of the training season 2014-2015.